How about some outdoor fun and learning this week? 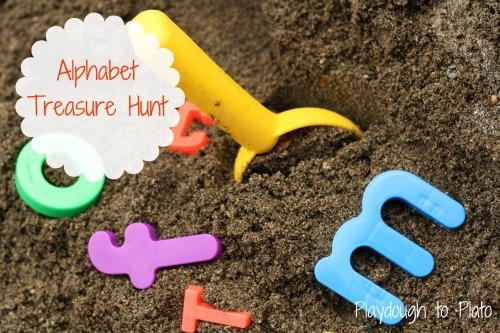 Hide some alphabet letters in a sandbox and invite the kids to hunt for them. It’s an outdoor treasure hunt and an alphabet activity in one! If you like this, get lots more by signing for B-Inspired Weekly right in your inbox. And follow B-Inspired Mama on Facebook, Twitter, or Pinterest!